Istanbul giants Beşiktaş have confirmed their 15th Turkish Spor Toto Super Lig title without waiting for the 34th and final week after a comfortable win over Gaziantepspor 4-0 on Sunday evening. The Black Eagles increased their point total to 74 with the win in Week 33 and become champions with one match left. 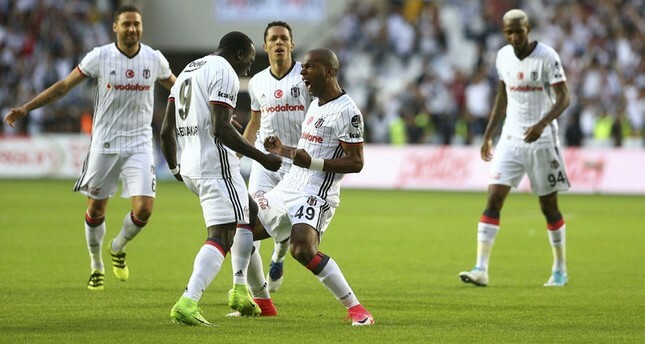 Ryan Babel opened the score in the 6th minute and Oğuzhan Özyakup made it 2-0 in the 39th minute. Already relegated Gaziantepspor seemed leagues behind the leaders as Anderson Talisca's two goals in the second half gave the back-to-back champions the victory. Since every five title allows a team to pin a star their jersey, Beşiktaş will now get the third star they have been longing for for a long time. Their archrivals already pinned their third stars long before them, and Galatasaray even pinned their fourth star in 2015. Their other archrivals Fenerbahçe have been wearing a third star since 2001. Beşiktaş, the least decorated yet oldest of the "big three" teams in Istanbul, will now qualify directly for the Champions League while Başakşehir, who are second and four points behind, go into the qualifying rounds. The jubilation of the Beşiktaş fans was a world away from the mood of third-placed Fenerbahçe and fourth-placed Galatasaray, the other two big Istanbul clubs. Başakşehir, founded in 1990, have clinched their first run at the Champions League, qualifying for the preliminary round after finishing fourth in the league in the past two seasons.